Haba Haba Spicy Tomatillo sauce is our signature green sauce. Mild heat with flavors that will stand out. We use local ingredients when available, and fresh squeezed lemon juice. 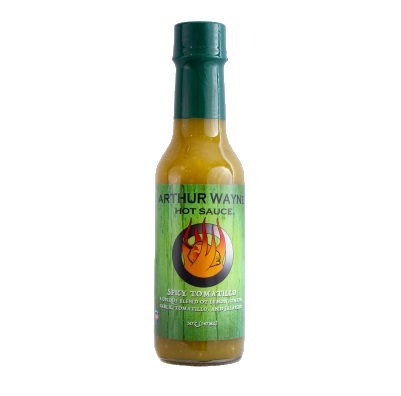 Our sauce will not burn your face off, but will bring the right amount of heat to the table.